I noticed that most of the Valentine Cards that I have been making this year don’t actually say “Happy Valentine’s Day.” They are instead about love, which is great, because then they can be sent all year long. Here’s another one. This is a triple challenge today! I used the fabulous sketch from Global Design Project, the colors from Hand Stamped Sentiments, and the theme of Love from Stamps Ink Paper. Love the choice of DSP with this challenge. Don’t you just love the SU “Love Blossoms” collection? Thanks for playing along at HSS. What a pretty card Yapha! I love the burlap ribbon! Thanks so much for joining us at Stamp, Ink, Paper for our Love theme challenge this week! So sweet and simple, Yapha! Great colors! 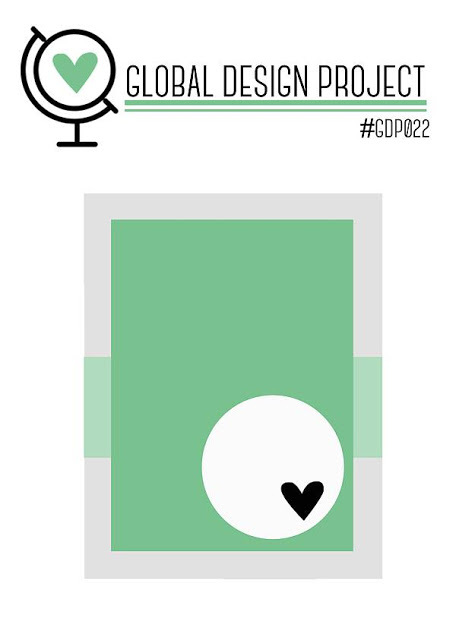 Thank you so much for playing along with this week’s Global Design Project Sketch Challenge! 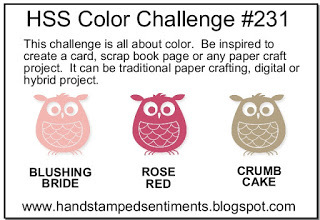 I love the strip of burlap….it’s the perfect added touch for this color challenge! Thanks for playing along at HSS! What a super sweet card! 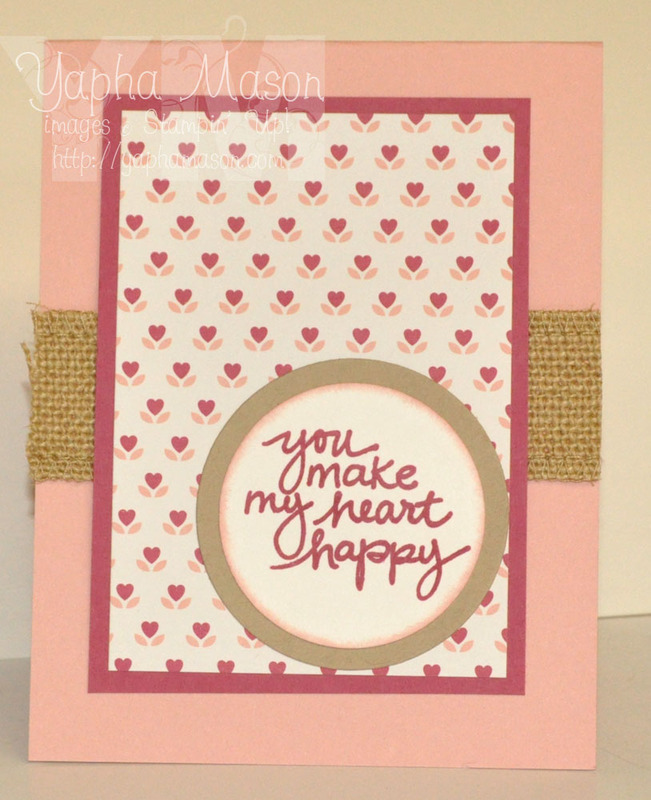 Everything works so nicely together….from the background paper to the lovely sentiment and font. Thanks for playing along with us at Hand Stamped Sentiments! I love the simplicity of your card and the sentiment is so perfect. The textured ribbon looks beautiful behind the layers. Thanks for playing at Hand Stamped Sentiments! Great simple card! Perfect card for a workshop as it is easy to mail. Thanks for joining us at HSS!